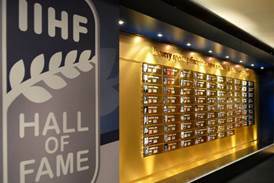 The IIHF Hockey Hall of Fame Honour Roll. 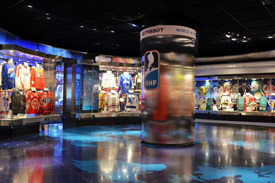 At approximately 6,000 square feet, the newly revitalized and immersive Tissot World of Hockey Zone is the largest dedicated exhibit area within the Hockey Hall of Fame. 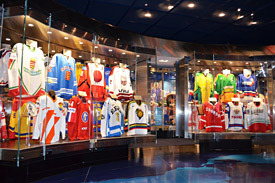 The zone provides an unparalleled tribute to international hockey, with an unrivalled collection of artifacts and media on display, including histories and exhibit materials from all 74 IIHF member countries. Global Game Flight Deck is an immersive multimedia experience that showcases the game of hockey in countries around the world. Click here for more on the Global Flight Deck. 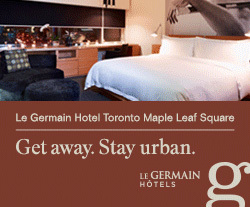 The zone celebrates the game of hockey globally through an unrivalled collection of artifacts and media on display. Global Game Flight Deck shines a light on 74 IIHF member nations in order to demonstrate the global presence of the game. The Tissot World of Hockey displays also cover Women's & Men's World Championships, European National Leagues, the Spenglar Cup and many current and historical international tournaments including the World Cup of Hockey, the Canada Cup as well as other significant worldwide hockey events such as the Olympic Games. The highlight of this exhibit is the 2010 Olympic 'Golden Goal' display featuring Sidney Crosby's stick, gloves, puck, podium and 'Golden Net'. 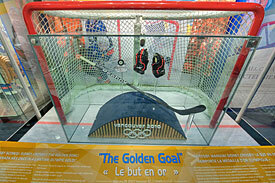 2010 Olympic 'Golden Goal' Display. 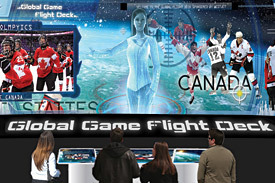 Global Game Flight Deck is an entertaining and visually stimulating interactive experience that provides visitors the opportunity to explore major international hockey moments onboard an avatar commanded spacecraft. Through an immersive exploration of a nation's significant hockey moment clips, the Global Game Flight Deck experience features in-depth coverage of nations where hockey plays a significant role in shaping the sporting culture. Global Game Flight Deck shines a light on 74 IIHF member nations in order to demonstrate the global presence of the game. THE LUCKY LOONIE - Also on display in the Tissot World of Hockey Zone is a surprising talisman that helped bring good luck to Team Canada's Women's and Men's teams at the 2002 Olympic Winter Games. The 'Lucky Loonie' had been secretly buried beneath the centre ice faceoff dot at the arena in Salt Lake City by the Canadian icemakers. 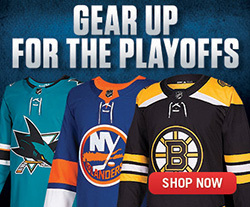 Both Canadian teams would capture the gold medal. A major sponsor and supporter of the Tissot World of Hockey is the International Ice Hockey Federation.. 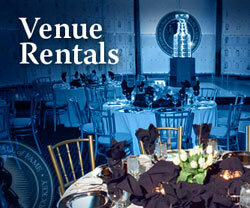 The major international body governing the sport of ice hockey, the IIHF was formed in Paris, France in 1908. At this time its membership consisted of five European nations. Canada became a member in 1920 at the Antwerp Olympics. Over the last ten decades the IIHF has presided over the most prestigious tournaments outside North America including the Olympics, World Championships, World Junior Championships and the World Cup of Hockey. Full list of IIHF inductees.